Wiley is a global publisher of books and journals, and as such has a large community of Editors. 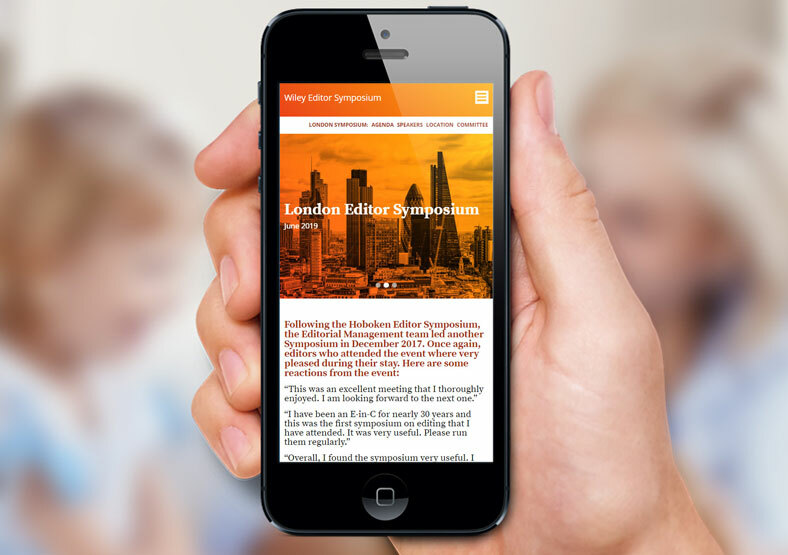 Wiley organises regular Editor Symposia around the world, giving Editors and Publishers a chance to meet, network and share insights. 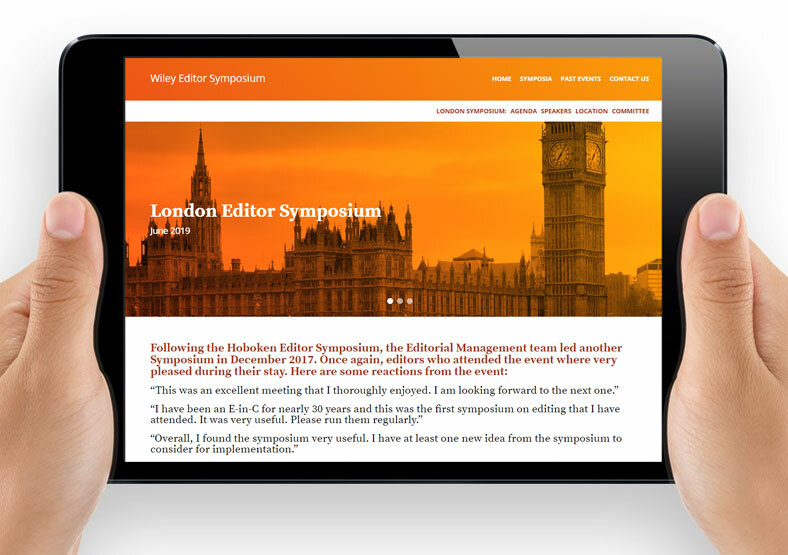 A new corporate brand meant that the existing Wiley Editor Symposium website was outdated, and could only showcase one meeting at a time rather than multiple events. A new website was therefore required. We were asked to design the website in line with the new brand guidelines, using bright orange tones from their colour palette. 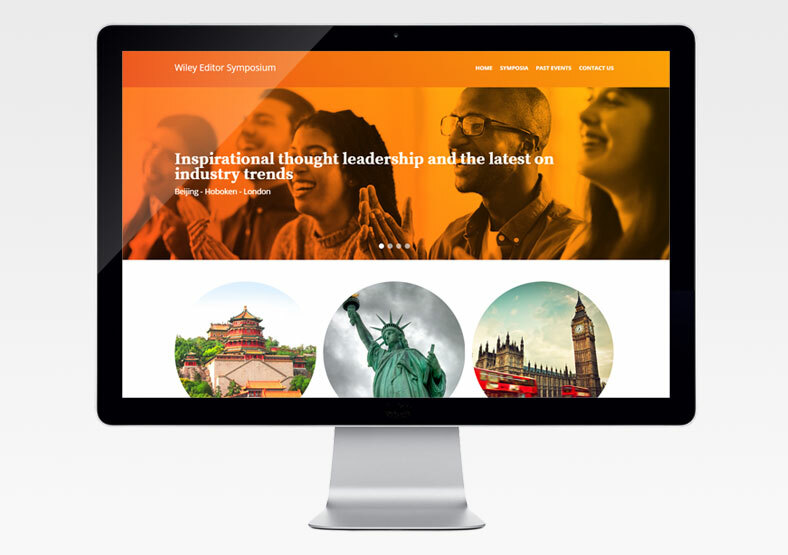 Our brief was to create a website using the WordPress CMS (Content Management System), enabling Wiley staff to easily update the text and images themselves after launch. Our revised website navigation allows users to find relevant information quickly, and has clear calls to action. The design is uncluttered and image-focused, and the site is responsive (i.e. it can be viewed equally well on desktop and mobile devices). We built the website using the best SEO practises, including the “Yoast” plugin which allows Wiley staff to enter relevant keywords as more content is added, thus improving Google rankings further.